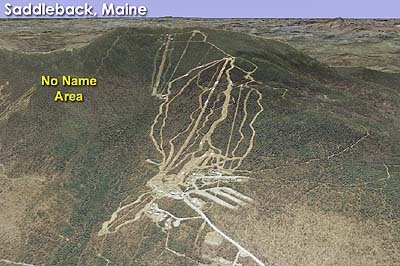 Located east of the existing ski area, the No Name Area was first displayed on the 2006-07 Saddleback trail map, projecting the installation of an 8,175 foot long chairlift from below the existing ski area base elevation to near a 3,350 foot peak called No Name Nubble. According to a 2007 development plan, trail clearing was projected to start for the 2011-12 season with a lift and base lodge projected for sometime between 2013 and 2016. 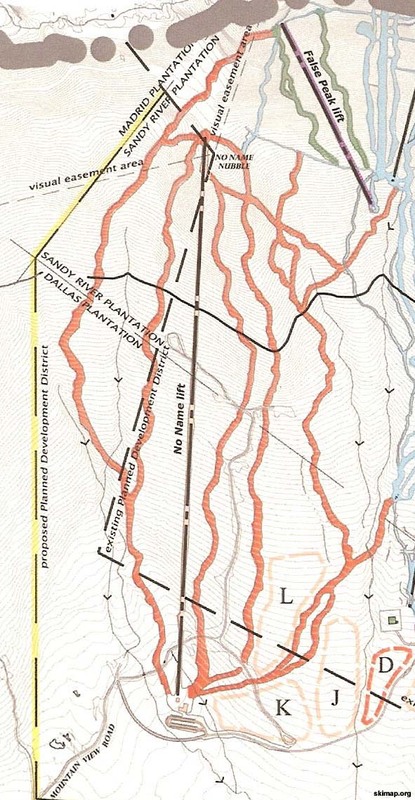 The area was expected to tie into South Branch, Kennebago, and False Peak. Dozens of home lots, condos, and timeshares were expected to be constructed near the base of the new area. The 2007-08 trail map suggested plans had evolved, as it displayed two proposed lifts. The lower lift, some 5,000 feet long, would serve lower pitched terrain, while the upper lift, 4,050 feet long, would cater to advanced skiers. Neither a February 2009 development map nor the 2009-2010 trail map displayed No Name Area. 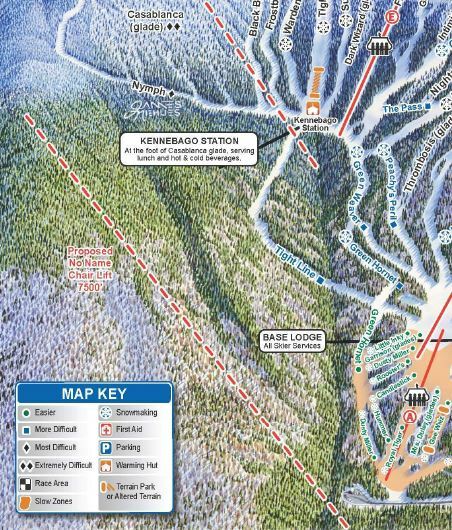 No Name reappeared as a proposed 7,500 foot lift on the 2010-11, 2011-12, and 2012-13 maps, but was not displayed on the 2013-14 trail map. It is not known if or when the No Name Area will be developed.